Author Alison Reiff’s new book “Mr. 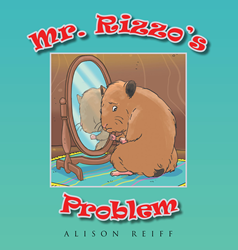 Rizzo’s Problem” is a charming fable for young children illustrating the importance of self-acceptance. Recent release “Mr. Rizzo’s Problem” from Page Publishing author Alison Reiff is a sweet story about a wild hamster unhappy with his tiny tail. His interactions with long-tailed forest friends teach him that each of them has the characteristics they need to be successful. Alison Reiff, a native of Greencastle, Pennsylvania with a lifelong passion for helping children, has completed her new book “Mr. Rizzo’s Problem”: an endearing lesson in personal contentment and self-acceptance. What’s so important about a toenail? What about a nose? Or any part of the body, for that matter, especially that of a short, stubby tail? Mr. Rizzo T. Hamster goes seeking answers about his tail and learns a valuable lesson. Published by New York City-based Page Publishing, Alison Reiff’s endearing fable teaches young children that they are perfect just the way they are. Readers who wish to experience this self-affirming work can purchase“Mr. Rizzo’s Problem” at bookstores everywhere, or online at the Apple iTunes store, Amazon, Kobo, Google Play or Barnes and Noble.